From the fiery mass of the Sun's core to the black hole at the centre of the Milky Way, this title takes you on the guided tour of the cosmos. It includes the exciting discoveries from water on Mars to planets in other solar systems and charts and information on the equipment for studying the wonders of the universe. Building on the latest discoveries in astronomy and cosmology, this guide to space covers everything from the Solar System to black holes, dark matter, and the Big Bang. It brings the wonders of the cosmos within reach. Beautiful photos from the Hubble Space Telescope and other observatories are combined with specially commissioned digital artworks to provide the ultimate guided tour of the Universe. A comprehensive set of night sky charts shows the positions of stars and planets as seen from around the world, and there is a separate chart for each of the 88 constellations. The accessible and authoritative text has been thoroughly revised to keep up with this fast-changing science - from water on Mars to dark energy and planets in other solar systems. An expanded section on practical astronomy includes the latest equipment for amateurs, complete with step-by-step instructions on setting up and using a telescope. 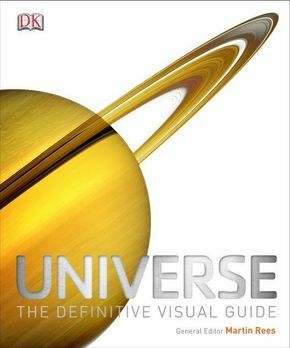 With a foreword by Britain's Astronomer Royal, Martin Rees, Universe is the ultimate guide to the cosmos.